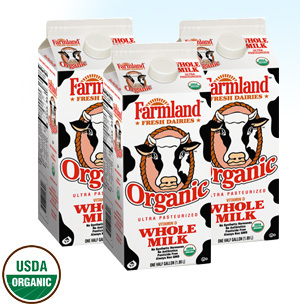 Farmland Fresh Dairies Organic milk is delicious and nutritious and is produced from family farms committed to the most stringent organic standards. Our farmers provide their cows with an organic diet in pasture and with hay and feed grown without the use of toxic pesticides, synthetic fertilizers or GMOs. 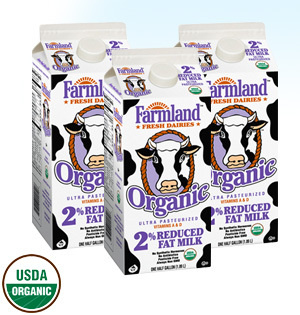 Our Organic milk is a pure powerhouse of health and wellness. Every eight ounce glass includes nine essential nutrients.... Calcium, Vitamin D, Potassium, Vitamin B12, Vitamin A, Protein, Phosphorus, Riboflavin and Niacin. Every eight ounce glass of milk includes nine essential nutrients.... calcium, Vitamin D, Potassium, Vitamin B12, Vitamin A, Protein, Phosphorus, Riboflavin, and Niacin. 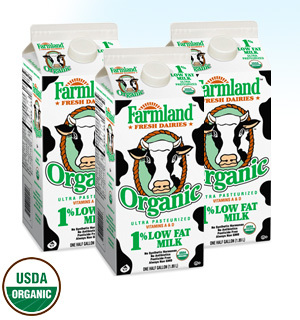 Our organic milk has no hormones added, and is antibiotic free. 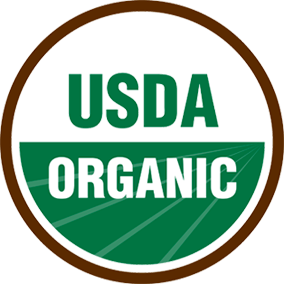 It is also locally sourced, certified kosher and quality audited throughout the entire process from farm to you. Farm fresh since 1914! 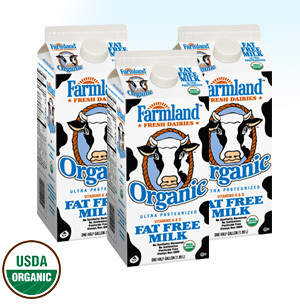 Great tasting and nutritious, with 37% less fat than whole milk. 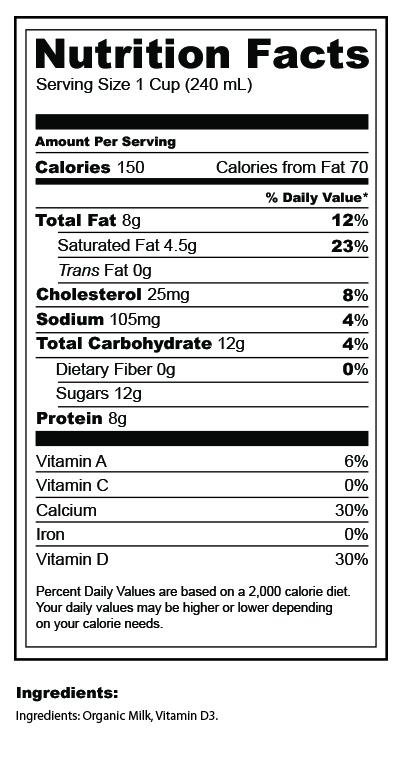 Reduced fat, reduced calories, while maintaining an excellent taste. 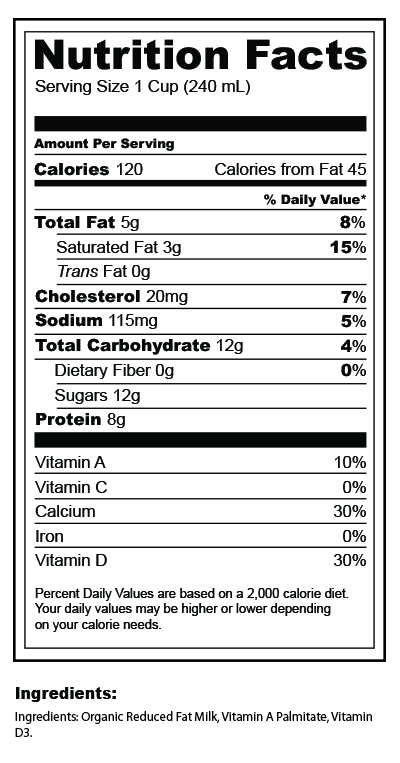 Delicious and refreshing alternative for consumers who desire limited fat, with all the nutritional benefits of higher fat milk. Great health benefits without the fat. Clean, crisp, and refreshing.